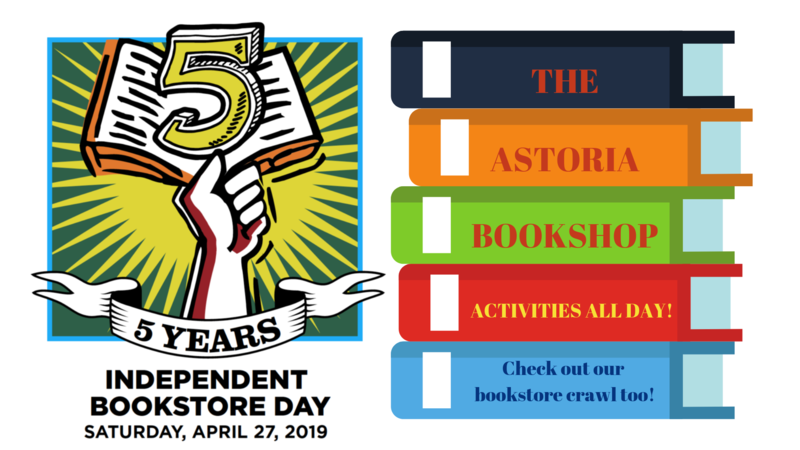 Join us for the 5th annual Independent Bookstore Day, a nationwide celebration of books and the book lovers who keep indie bookstores strong. We’ve planned a whole day of book-related activities and offers, including exclusive merchandise created just for the day, only available at independent bookstores! Events include: special storytimes, a literary trivia happy hour with special book-themed cocktails, butterbeer & a cardboard Hogwarts castle fort for kids, double loyalty points all day, a book prescription booth, and a bookstore crawl across Queens and Brooklyn!